Sen. Lindsey Graham, R-S.C., said after meeting with Barr, who led the Justice Department under President George H.W. Bush, that Barr has a "high opinion" of Mueller. 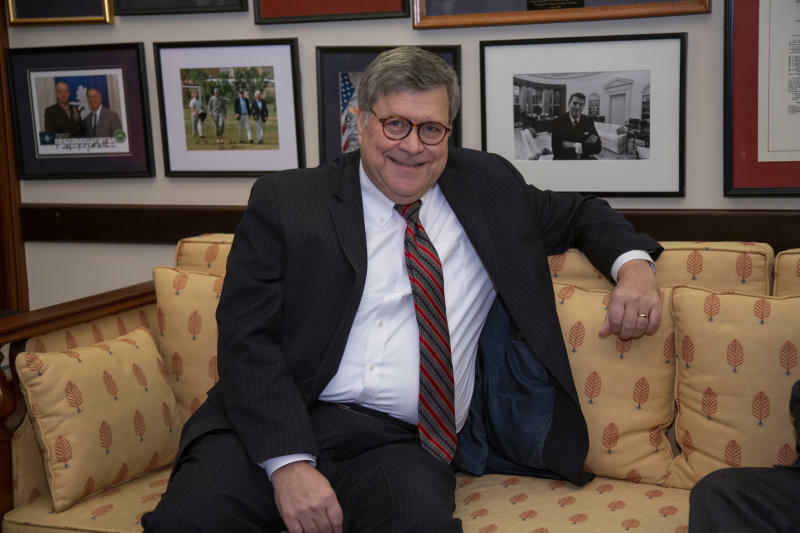 Barr was spending most of Wednesday on Capitol Hill, meeting senators on the committee before his confirmation hearing next week. "He had absolutely no indication he was going to tell Bob Mueller what to do or how to do it," Graham said Wednesday. President Donald Trump pushed out Attorney General Jeff Sessions in November and made Sessions' chief of staff, Matthew Whitaker, the acting attorney general before nominating Barr in December. Trump's critics have expressed concern that Barr may try to curtail Mueller's investigation, which Trump repeatedly has called a "hoax" and a "witch hunt." Also, Barr wrote an unsolicited memo to the Justice Department last year critiquing Mueller's investigation into whether the president had sought to obstruct justice by firing James Comey as FBI director. Graham said Barr also told him about his longtime relationship with Mueller. Barr and Mueller worked together when Barr was Bush's attorney general from 1991 to 1993 and Mueller oversaw the department's criminal division. 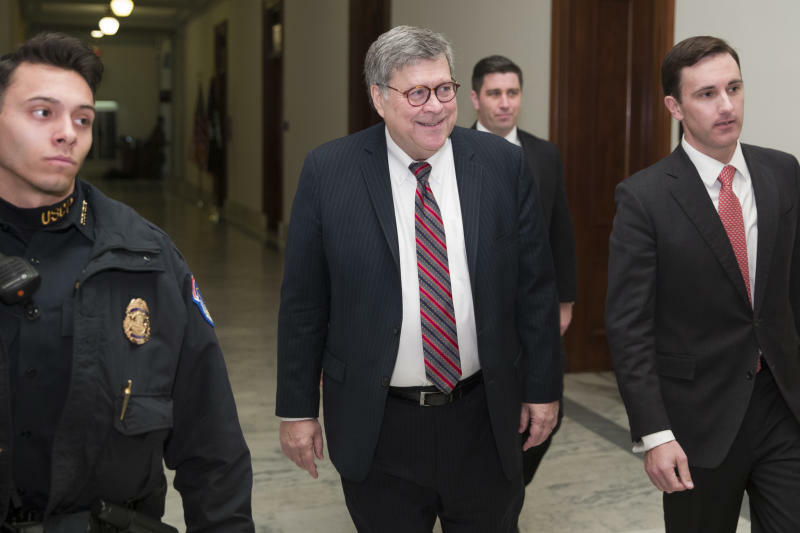 Graham said that the two men were "best friends," that their wives attended Bible study together and that Mueller had attended the weddings of Barr's children. "So his opinion of Mr. Mueller is very, very high in terms of ethics and character and professionalism," Graham said. Graham listed a number of questions that he had put to Barr: "I asked Mr. Barr directly, 'Do you think Mr. Mueller is on a witch hunt?' He said no. 'Do you think he would be fair to the president and the country as a whole?' He said yes. 'And do you see any reason for Mr. Mueller's investigation to be stopped?' He said no. 'Do you see any reason for a termination based on cause?' He said no. 'Are you committed to making sure Mr. Mueller can finish his job?' 'Yes.'" Graham said Barr said that if he were attorney general, he would "err on the side of transparency" when he eventually received Mueller's report. "Mr. Rosenstein mentioned to him when they first met, I think, that two years would probably be enough," Graham said. "He has got some ideas of a deputy. I told him to pick somebody you are comfortable with and that the president can approve, and I trust his judgment to find a worthy successor to Mr. Rosenstein." 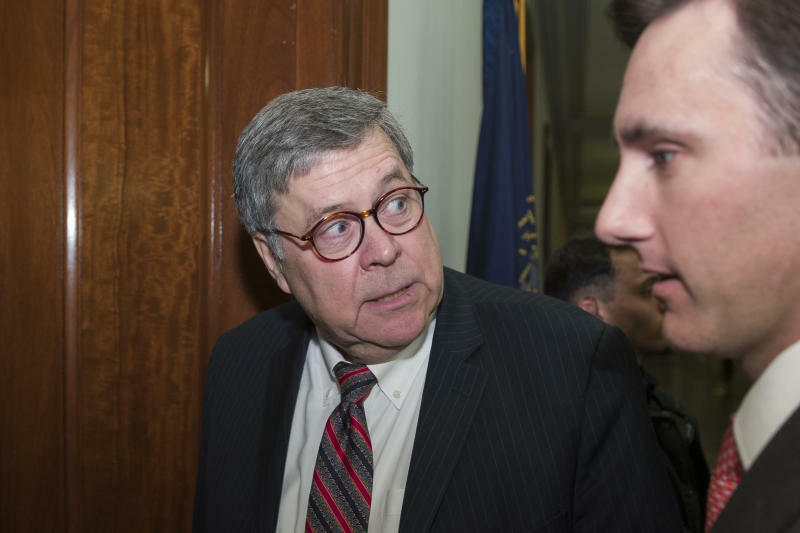 Barr also met with several other Republican members of the Senate Judiciary Committee, including the outgoing committee chairman, Sen. Chuck Grassley of Iowa, who said he believes Barr's experience "ought to make his nomination very easy." Sen. John Cornyn of Texas said after his meeting that he is pleased that Barr would be "what I would call a 'traditional law and order' attorney general." Barr was also scheduled to meet with Sens. Ted Cruz, R-Texas, and Ben Sasse, R-Neb.